For those not familiar with it, the club My Father’s Place (in Roslyn, Long Island) was one of the most influential spots in the country for breaking new acts in the 70’s and 80’s. Dave Mason, Bruce Springsteen, Todd Rundgren, Hall & Oates, The Police, Rick Derringer, The Runaways, Bob Marley, U2 and many, many more, were among the first to play there; beginning their rise to fame and fortune. One other thing to know straight away, is that the music industry was a very, very different beast back then. Record companies then had a department called artist development that sought to brainstorm ideas on how to break a new band. Honestly, that doesn’t even remotely exist anymore and as such, the industry has surfaced grave setbacks. MFP was to the Island, what The Bottom Line was to New York. An opportunity, for a reasonable price, to go see a new or developing artist. Today, that doesn’t even exist anymore. Launched in 1971 and closing in 1987, it was a milestone club. Since 1987, Michael Epstein (who lorded over the club) wanted to re-open it. The original club closed down for a number of reasons not even worth getting into, although the fact that record companies supported many of those original acts’ appearances and now, would not, was always a big factor. Last night, at MFP at The Roslyn Hotel, it re-opened. For the record, I worked there during the first run; seeing acts from Springsteen on and left me with great memories. I had spoken to Eppy (Epstein) numerous times over the course of the years and yes, this was his dream, to re-open the club. I liked Eppy from the get-go, because he truly appreciated the music and the artists playing there. In fact, you could not have a bigger supporter than him; his drive, enthusiasm still is terrifically infectious. 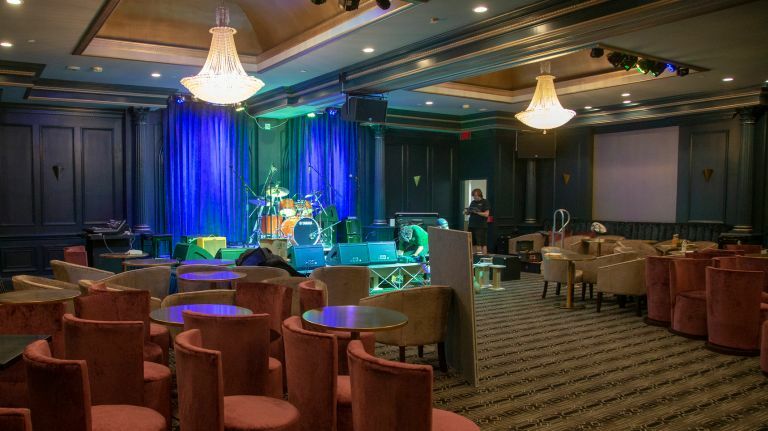 About a year ago, the idea was hatched to re-open the club in the former banquet room at the Roslyn Hotel. I didn’t see it in person, but the initial photos showed there was a lot to be done. I went last night with a feeling of excitement; would Eppy really be able to make this a go? Clubs today are more-or-less supper clubs; where the money made on the bar and food carry forward towards booking the acts. The acts are more expensive than ever and a myriad of booking agents are in the mix. Last night’s act, Buster Poindexter (David Johansen) was a true opening night marquee name. The entrance to the club was separate from the hotel; the entrance on the parking level and once inside, the anticipation was palpable. The bar and merch table were brand new and as we entered the actual ballroom, it was quite sumptuously decked out. A soft opening the previous night somewhat prepared everyone for this opening. Once seated we met our server Sean, who finally admitted that this was his first night. The service somewhat sketchy, but that’s pretty much common on first-nighters. The demo of the crowd was 50+ for sure. I looked around and really didn’t see too many people I recognized. One, Steve Rosenfield, who used to be the official “unofficial” photographer for the club was there and introduced to me to his wife … who he met at the first Poindexter show at MFP eons ago. Of course, back then the admittance was almost nothing, the ticket price for this show was $75.00 per with a cover at the table. My how times have changed! A much-more subdued Poindexter took the stage and with his four piece band and put on quite an impressive show. I hadn’t seen his act in years and it was much more dialed back; but, just sensational. Adorned in a hot pink jacket and light-blue slacks, he was gracious, funny and in tip-top voice. It’s ironic that when David Jo launched this persona, songs from the great American-songbook were not much in vogue; today, however, from Tony Bennett and Lady Gaga on down, it’s totally reversed. His four piece been excelled. He was really great. The sound was excellent and the sight-lines perfect. There really is not a bad seat in the house. I thought about the evening on the way back to Manhattan and feel that it was a terrific night. Someone from the stage asked how many people had gone to see MFP in its heyday and almost every hand (including mine) was raised. It was, to quote my friend, a happening. One thing’s for sure, if anyone could pull this off, it’s Eppy. Interestingly enough. When Eppy took the stage to massive applause, even he seemed somewhat taken aback. I applaud him and his efforts and will support the new MFP all the way. The 96th edition of the Arena di Verona Opera Festival (June 22 - September 1, 2018) will feature important conductors, internationally famous directors, opera stars and new rising stars distinguish. Running 47 evenings of great music and under the stars in the world’s largest opera theatre in scenic and historical Italy’s Arena di Verona. 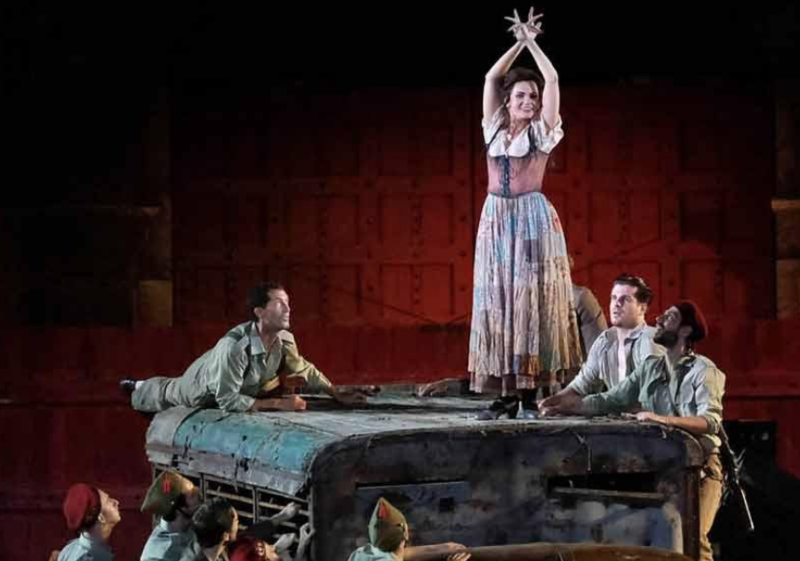 The 2018 Arena di Verona Opera Festival is inaugurating with a new production of Georges Bizet’s Carmen, alongside Aida by Giuseppe Verdi, Turandot by Giacomo Puccini, Nabucco by Giuseppe Verdi and Il Barbiere di Siviglia by Gioachino Rossini. The festival includes dance performances by Roberto Bolle and Friends, and the special and the Verdi Opera Night dedicated to the famous Busseto composer, who has dominated Arena summers for over a century. If any literary figure seems synonymous with being Irish, the legendary author James Joyce fits the appellation. And, thanks to having written the 730+ pages of his intellectually unparalleled tome, “Ulysses,” (released as one complete book in 1922) with its incredibly complicated telling of one day in the life of Leopold Bloom, that date has led to the yearly celebration known as Bloomsday. The novel parallels the life and thoughts of Bloom and a host of other characters — real and fictional such as Stephen Dedalus — with the Greek story of the Odyssey which takes place from 8 am on June 16th, 1904, through to the early hours of the following morning. In March 1914, Joyce had started writing “Ulysses” but put it aside to finish his play “Exiles.” On June 16th, 1915, he wrote his brother Stanislaus to say he had finished the first episode of it. 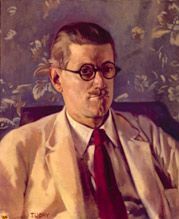 After a long serialization, it was then was published as a full version in a very limited edition, and shortly after, Joyce’s friends began to mark June 16th as Bloomsday. The first Bloomsday event celebrated in Ireland was in 1954, the 50th anniversary of the original Bloomsday, when writers Patrick Kavanagh and Flann O’Brien visited the Martello Tower at Sandycove, Davy Byrne’s pub, and 7 Eccles Street, drunkenly reading parts of “Ulysses” throughout a long day of imbibing. Today, it is celebrated by Joyceans across the globe with readings, performances, re-enactments, and many other events. In Ireland, a Bloomsday Festival runs from June 11 to the 16th. 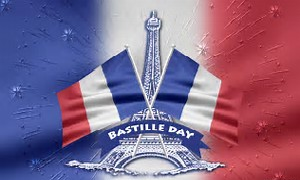 Among those celebrations are several which take place in New York City. The day kicks off with the 5th annual immersive Bloomsday Breakfast hosted by Origin Theatre Company and Bloom’s Tavern in Midtown (208 East 58th Street). Since the annual free event lands on a Saturday, it starts a little later at 11:30 am but will still fit in all the festivities such as readings from the book, musical interludes, and a juried costume contest. As New York’s only site-specific Bloomsday breakfast, it commemorates the Dublin summer morning chronicled in “Ulysses,” which takes place on that singular day. The event also features the “Origin in Bloom” Literary Prize presentation, honoring an Irish or Irish-American author with a unique connection to New York. The beloved writer/activist Malachy McCourt won the inaugural prize last year — chosen by a nominating committee which includes the Irish Voice’s Cahir O’Doherty, Irish America Magazine’s Patricia Harty, and the Irish Echo’s Peter McDermott. Among the performers, writers, and musicians taking part are Elmore James; David O’Hara; Charlotte Moore; Sean Gormley; Ciarán Sheehan; Paula Nance; Terry Donnolly; Fiona Walsh; Patrick Fitzgerald and The James Joyce Reading Group, and David O’Leary of Trí -- The New Irish Tenors. the event’s music director Irish-folk-rock troubadour Alan Gogarty performs on guitar as well. For the third year, the breakfast also features a costume competition for the “Best, or Most Creatively, Dressed Molly or Leopold Bloom.” The winner -- man or woman -- will be selected from among the guests by a blue-ribbon panel of judges led by the internationally recognized image strategist Margaret Molloy. A $1,000 Dinner and NYC fun package is offered to the grand-prize winner. Contestants are invited to come period-attired, or in a summer-festive outfit — a modern interpretation of that 1904 Dublin morning. Couples and individuals are eligible. Later on, the 37th Bloomsday on Broadway starts at 7 pm in the Peter Norton Symphony Space (95th & Broadway), co-produced with the Irish Arts Center. Directed by Lisa Flanagan, Symphony Space's celebration of Joyce's masterpiece features a tour through the first 17 episodes hosted by beloved Bloomsday regular Mia Dillon, with musical interludes by violinist Dana Lyn, guitarist Kyle Sanna, piper Ivan Goff, vocalist Carrie Erving, and a chorus of Mollys performed by Valorie Curry, Kirsten Vangsness, and more. A cast which includes Keir Dullea, Barbara Feldon, Peter Halpin, Neil Hickey, Peter Francis James, Khris Lewin, Malachy McCourt, Terry Moran and Sam Underwood perform the readings until about 9:30 pm. Festivities continue with an after-party in Bar Thalia where guitarist Matt Stapleton, Dylan Foley (four-time All-Ireland fiddle champion), and Isaac Alderson (2002 All-Ireland flute, tin whistle, and pipes champion) will perform. Up in Albany at the Irish American Heritage Museum (370 Broadway, Albany, NY) is the "Ulysses Seen"exhibit based on a comic adaptation of the 1922 edition of James Joyce's epic by Robert Berry. Berry uses the visual aid of the graphic novel to foster understanding of public domain literary masterworks. He's pointed out that "Ulysses Seen" isn't meant to replace the original but rather it's meant to be a visual companion to Joyce's book. It uses the comic narrative to "cut through jungles of unfamiliar references" and to help readers "appreciate the subtlety and artistry" of Joyce's text. If you've wanted to read Ulysses, but have been intimidated by its size and density, this is a great new way to experience literature such as this. Original artwork in the form of bookmarks are available to buy. In addition, Bloomsday evening at the Museum begins at 6 pm and then continues on a local pub crawl, where participants receive one drink and will be regaled by extracts from the famous book and songs about Dublin. It costs $30. Finally, the day continues into Sunday, the 17th, at a Post-Bloomsday Celebration in McNally Jackson Books at 52 Prince Street in New York’s Soho district. Starting 4 pm, Emmy-winning screenwriter, critic and novelist, Robert J. Seidman celebrates Leopold Bloom’s odyssey. Author of the novel “Moments Captured” he is also co-author, with Don Gifford, of “Ulysses Annotated” and thus has a bit to say about Joyce. Obviously, the best way to celebrate Joyce is to grab a copy of the book and try to wend your way through it. Once done, you can backtrack to his previous novel, "A Portrait of the Artist as a Young Man” (1916) and his even more daunting, obtuse and intellectually challenging re-definition of the novel, “Finnegans Wake” (1939). 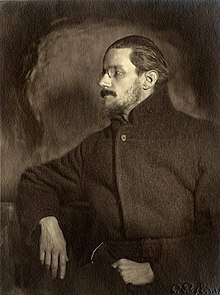 Born on February 2nd, 1882, at 41 Brighton Square, Rathgar, Dublin, James Augustine Aloysius Joyce was the foremost purveyor of stream-of-consciousness writing; he basically wrote in ways no one had ever written before and became undoubtably one of the 20th century’s most important authors. Though he’s been dead since January 13th, 1941, his impact still resonates.For some, reading Joyce is a life-long challenge, for other he’s worthy of a day’s drunken literary adventuring.